For the ultimate in suspension performance, Eibach has developed the Pro-R1 Coilovers, specially tuned spring/damper units that allow you to extract the last ounce of cornering power from your Camaro. This patented Coilover design lets you precisely tune the corner weights for optimum handling balance, and the wide range of the damping adjustability lets you tune for the comfort, ultimate grip, or anything in between. 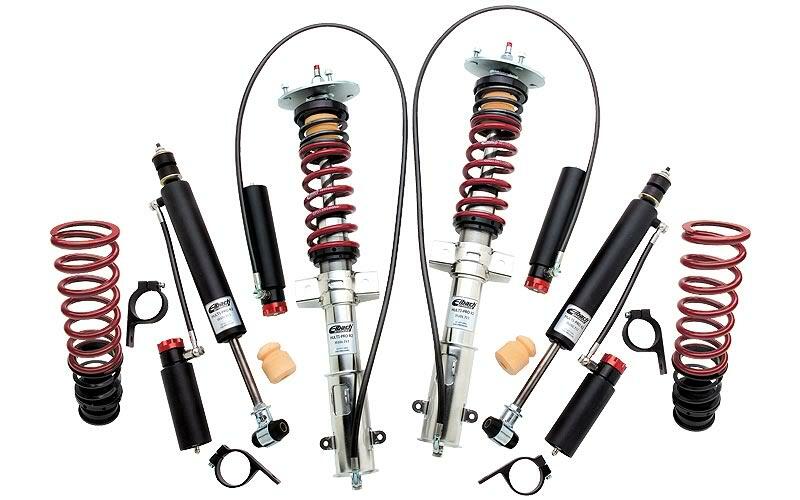 This kit is perfect for the track racers or daily drivers who demand the high performance handling and optimal ride quality for which Eibach is famous and is 100% Designed and Built at Eibach U.S.A. Vehicle Model Years Front Lowering Rear Lowering Front / Rear Part No.